Being a freelancer, most us find different and unique ways to get our job done. Also, a distinctive worm inside everyone demands to get the job done at a lower/Discounted price. I mean who doesn't love discounts right? So today I'll introduce you to ezebee, An online marketplace which provides free online shop services for small/medium business owners. The sellers, on the other hand, get an opportunity to showcase their products on a global scale at no total cost. So these People can sell their products without worrying about the hassles that one encounters while selling anything online. It's more of like a freelance marketplace, to put it in simple terms. Quite a few days back, Ezebee asked me to try their services. Being an Entrepreneur I did gave it a shot and today I'm going to share few of my observations. So it is a place where you can Sell, Buy, Rent, Offer Services & Career Opportunities, etc. They have strategically created different categories to suit your needs & creating a simple, streamlined user interface. Categories such as Fashion, Decor, DIY, Education, Art, Gadgets, etc. are observed. It's similar to OLX or Quickr, though Ezebee can let sell your services online internationally. I'm sure it's going to get a lot of competition from websites such as Udemy, Udacity or Fiverr. Though every customer would enjoy to create free online shop matching their needs. Create an account on ezebee.com. If you're a single business individual, you get to sell your services from ezebee directly. However if you represent a brand, You might have your portals to sell your services right? 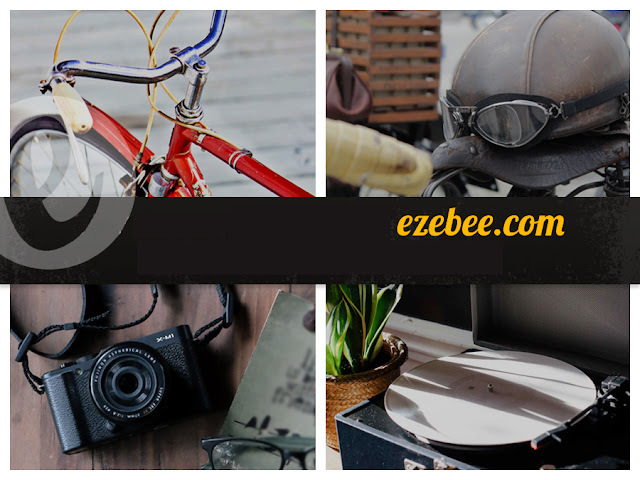 So with ezebee, you can link your portals here by creating a new page and selling it directly from ezebee. Ezebee will take care of the backend that redirects stuff from your portal. If you're here buy stuff, then it is the same usual thing that we observe on all other e-commerce platforms. You can pay the particular seller via wallet account on ezebee which is linked to your bank account. You're also eligible for EZB coins which are rewarded for selling your products on their platform. These EZB coins can be later redeemed to buy various other services; these coins can be helpful for international transactions. If you create an account via Facebook, Ezebee will help you setup your Facebook shop for free, which is a prominent feature of any Facebook Page. It also provides you an unlimited bandwidth & product scraper functionality. Whereas you can even discuss your queries with the seller via the chat option present on the shopping page. These folks offer you excellent services having the latest features on board and that too at a free price tag, what else does a single business owner want? 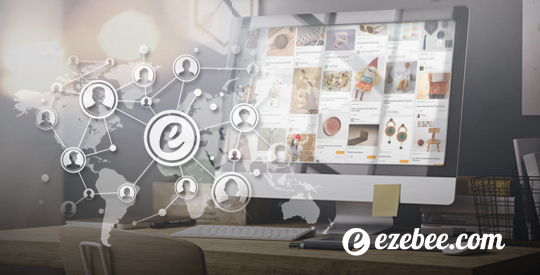 Ezebee gives you an opportunity to showcase your products on a global scale without cutting any holes in your pockets. Alternatively you make money online for your work, So why don't you give it a try? Go ahead make your free online marketplace and let me know how it worked for you in the comments section below.